The BC2 pneumatic band cylinder, Tolomatic's first band-type cylinder design, continues to be a solid performer for a wide variety of pneumatic applications. 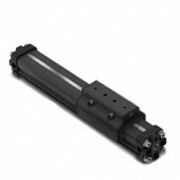 BC2 pneumatic band cylinders provide multiple mounting options for both vertical and horizontal applications and offer low to moderate load carrying capacities. 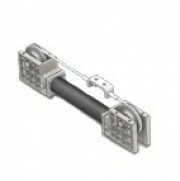 The BC3 heavy duty pneumatic actuator is specifically designed for large load carrying capacities. BC3 heavy duty pneumatic actuators employ a recirculating ball bearing system capable of handling large off-center loads with consistently smooth motion. 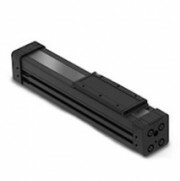 The Tolomatic double acting pneumatic air cylinder offers the widest variety of sizes and options Double acting pneumatic air cylinders offer a cost savings over rod cylinders when strokes exceed four feet and provide a versatile space-saving design.